If you’re in an amazing relationship but your family doesn’t think so this is for you! Are you dating your soulmate? Does your family not approve? Has your relationship divided your family? Have you tried everything to get your disapproving family to embrace the love that you have found in your new partner? The TLC TV docu-series will follow couples who are in love but have issues within their relationship due to families that do not approve of their partners. 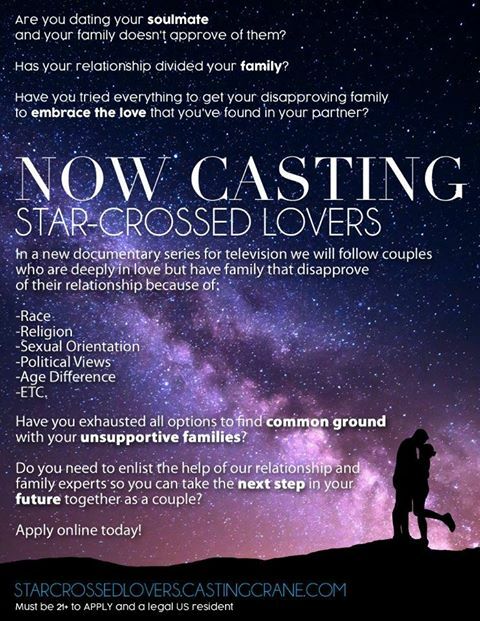 If the above scenario sounds like you, casting producers for the show would love to hear all about it. Please see the casting flyer below for submission details. EMAIL Alex directly at alex@alexshaw.tv for any questions!